People's lack of knowledge regarding the price for painting homes and businesses has caused many to disregard this important venture. Painting your house can have great rewards for you and the fear of the unknown should not discourage you. It is therefore important to find out what it would cost you to be prepared for it. Painting has many benefits that you should know as you think about its financial implications. It enhances the visual appeal of your home or business. Your home or business premises will appear as though you have given it a face lift if you add a new coat of paint. 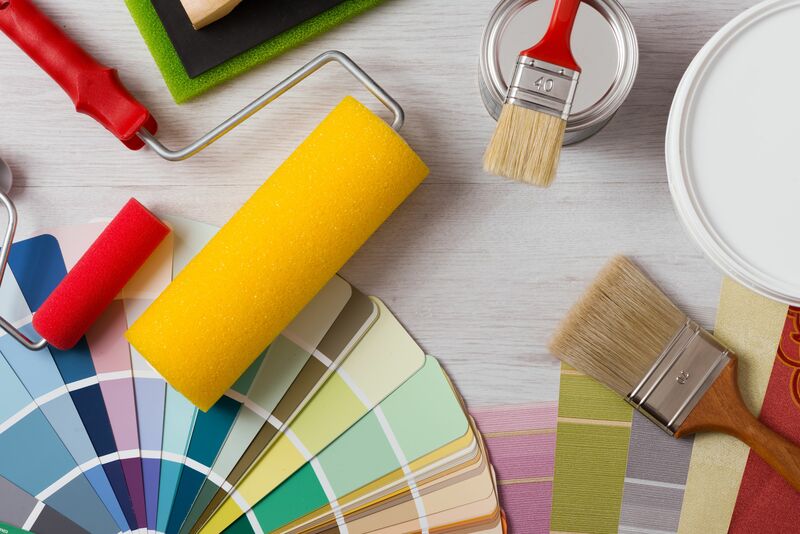 In the event that you want to sell your home or business premises, you will be able to sell it at a more reasonable price than if you had not given it a new paint job. The cost of painting your premises will depend on its size. For example, it can take more than 20 gallons of paint to finish a 3,500 sq ft building. A quality paint job would normally require two coats of paint. Quality paint costs between $15 and $30 per gallon. Paint of very high quality will cost you approximately $35 to $75 for each gallon. The quality of the paint will go a long way in determining how much you will spend for the job. If you hire a professional to do the painting for you, you can expect to part with approximately $1500 to $3000 for an average single story building. A multiple story building will cost you as much as $5500 or more. The labor takes a bigger chunk of the costs because it involves other things such as caulking, power washing and sanding. The contractors will also need the materials to do the preparation job. If the price for painting homes and businesses looks too much, you can do the paint job yourself and save yourself the high cost of hiring labor. Be prepared for the messy and tiring but fun job ahead. You will also enjoy the money you managed to save and the satisfaction of having done such a task on your own. Some of the materials you will need include paint, paint pans, caulk, tape, primer, brushes, drop cloths, sandpaper, rollers, paint sprayer, buckets, rolling handles and scrapers among others. One of the biggest challenges is the time it takes to complete a paint job. You will have to shelve any other engagement to work on the painting. That is why many people prefer to hire professionals for the job despite the cost. A good paint job can take a week or longer depending on the size of the premises and number of story it has. You will also need to repaint the building after every 5 to 7 years to ensure you maintain the quality of the building. The frequency will depend on the quality of paint. Oil based paints are perfect for the exterior. This is because of various weather conditions. Water-based paint can be easily washed away by rainfall. It is also susceptible to sunlight. Within no time, the shine that you had given your home will be dull again. Oil paint is permanent and glossier. However, you will have to spend more and increase the price for painting homes and businesses. Your building will be more beautiful with an oil-based paint than with a water-based one. However, some oil-based paints are made with potentially poisonous chemicals that could be hazardous when inhaled. You must wait until the paint dries completely before you move back in if you were painting the interior as well.